KIGALI – Rwanda President Paul Kagame has urged African countries to unite towards a free trade area for economic development. 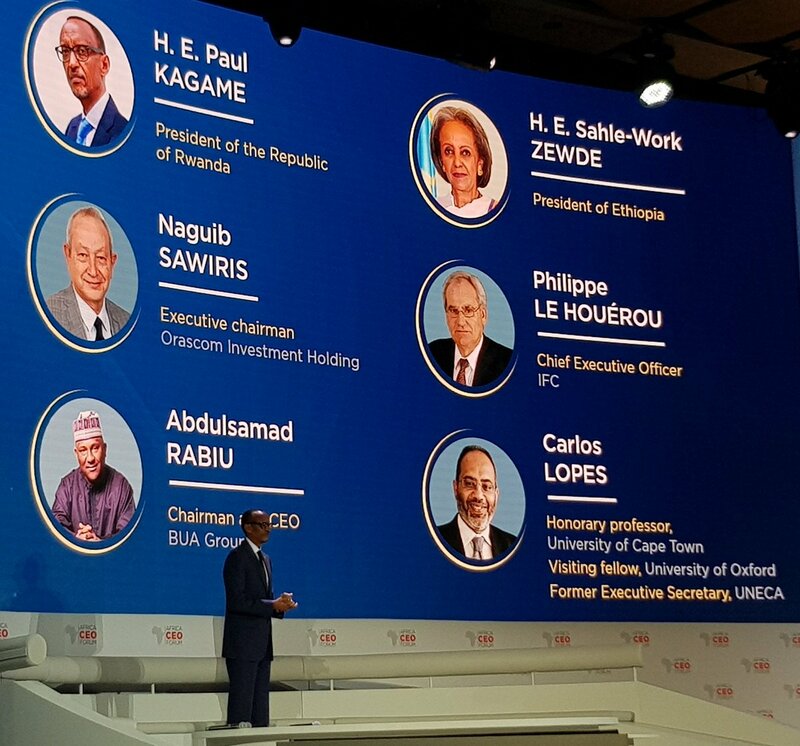 Speaking at the 2019 Africa CEO Forum that kicked off on Monday in Rwanda’s capital, Kigali, Mr Kagame said the summit is important for helping African nations work together for the good of their people. “This summit does us proud as Africa. There is a lot of knowledge, expertise and political will in this room. If we work hard at it, all together, Africa will be where we need to be. Africa has immense, unlimited opportunity and capacity, knowledge and expertise. These young Africans are doing wonderful things for other continents, we should be doing that for ourselves,” he said. The summit brought together Heads of State, CEOs, investors, top executives, experts and other officials from various industries to deliberate on Africa’s business prospects and Mr Kagame urged member states to ensure implementation of the Continental Free Trade Area, which will integrate Africa into a single market. “One year ago, in this very room, 44 countries signed the continental free trade area – and more have done so since – on the free movement of persons across Africa. The continental Free Trade Area is on the path of coming into force. I understand that only one more ratification is needed. However, as we all know, this is where the hard work begins. It is very timely for us to gather here today to discuss how to make the most from this historic agreement among other important issues,” he said. Mr Kagame was joined in Kigali by other Heads of State for the official opening ceremony of the forum, including Felix Tshisekedi (Democratic Republic of Congo), Sahle-Work Zewde (Ethiopia) and Faure Gnassingbe. 2019 marks the 7th edition of this continental forum. “We are here to ensure that the CFTA becomes a reality,” Amir Ben Yahmed, president of the Africa CEO Forum said in his opening speech. The Africa CEO Forum will run until 26Th March, with various deliberations and presentations lined up.